I recently did a PoC with a customer to integrate NiFi with CDH, part of this was creating external tables in Hive on the newly loaded data. In this article I will share the approaches, useful workarounds, how to customise your own NiFi build for backwards compatibility, and provide a pre-built CDH-compatible Hive Bundle for you to download and try. So first, why is this necessary? The first is that it uses an older version of Thrift, so we need to configure NiFi to use this same version if we want to talk directly. The second is that new features introduced after version 1.1.0 aren't available in the CDH release, so we have to stop NiFi from looking for them. The obvious other option here is to work with CDH Hive indirectly, and thus we come to the workarounds. The WebHCat service provides a RESTApi to run Hive queries which we could've accessed using the NiFi HTTP processors; unfortunately the port was blocked at the firewall. The Beeline client could've been run via the NiFi Execute processors; however the NiFi server was outside the test CDH cluster and there was no available license for installing another gateway, nor time for the change control. Stream the Hive queries in a bash runner via an SSH tunnel into an existing edge node on the test CDH cluster using NiFi ExecuteStream processors; this works, but breaks various rules. Note that I have only tested the Hive bundle functionality against CDH5.10.0, not any of the other processors such as HDFS or Kafka nor other versions. 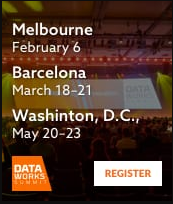 Neither I nor Hortonworks offer guarantees that this or other services will work against CDH and you should thoroughly test things before trusting them with important data. The following instructions were tested on a Centos7 VM. # Install Maven, Java1.8, Git, to meet minimum NiFi build requirements. Hi @Raghav Ramakrishann sorry I only just saw this comment as I've been away on Paternity leave. Can you share the version of CDH you're connecting to, and your service parameters? I might be able to troubleshoot a bit. Can confirm the DBCPConnectionPool approach suggested here by @Rudolf Schimmel works. We did run into issues when using Java 10 (uncaught Exception: java.lang.NoClassDefFoundError: org/apache/thrift/TException even though libthrift was specified). Using Java 8 worked.